No question there have been many wonderful surprises in my quest to eat local on Guam. Everything from the helpfulness of the locals at the markets to the crispness of homegrown tomatoes has nudged me in the direction. But of all the delicious discoveries, none was as unexpected as learning something so sweet and amazing would enter our pantry via Guam Lock & Key. I was shocked to learn that this unassuming establishment, located on Marine Corps Drive in Anigua, not only takes care of your lock and key issues, but they are also the hub for locally acquired Boonie Bee Honey. Turns out locksmith Tim Estes doubles as a beekeeper and often stocks the shelves with various selections of honey that range in size and price (approx. $5-10). Most recently, I walked out with a jar of regular honey and a jar of mango honey, which doesn’t taste like mango, but does have a slightly different flavor. According to Tim, this honey was harvested from bees that primarily pollinate mango trees. Am I the only one who finds that completely fascinating? In addition to its fantastic flavor, there are health benefits to using local honey. I picked up a fun fact somewhere that eating honey from your local area can help lessen the effects of seasonal allergies. I’ve heard that as a sweetener, honey doesn’t spike your insulin levels to the same degree that sugar does. And who could leave out the bonus trivia that honey is reportedly the only food without an expiration date. Turns out honey is a pretty sweet deal. You’ll catch more flies with it too! 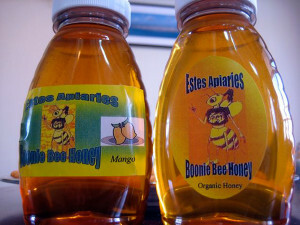 So swing by Guam Lock & Key and pick up some honey to add to your pantry. 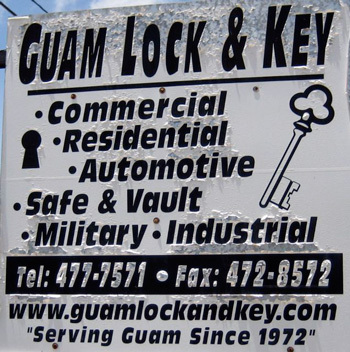 Guam Lock & Key is located at 561B W. Marine Corps Dr., open M-F, 8 a.m.-5 p.m.; Sat., 9 a.m.-3 p.m.; (671) 477-7571. As if this place didn’t already have variety, there’s a used books exchange here too. Preheat the oven to 400F. 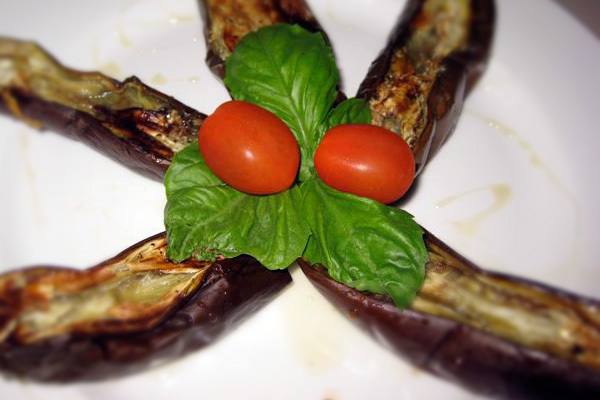 Slice eggplant in half lengthwise. Brush insides with olive oil and sprinkle lightly with salt and pepper. Place face down on a greased foil-lined pan. Bake for 25 minutes. Arrange on a plate and drizzle with Boonie Bee Honey. Serve warm. Serves 4-6. Looking for more recipes to use local honey? Check out Calamansi Lemonade and Calamansi Poppyseed Vinaigrette. Recipe adapted from Seaweed and Sassafras.